The one thing that houses your fish is your aquarium. An aquarium can be a fun and additional feature to any home, seeing them swim gives a soothing effect to the eye. However, the last thing anyone wants to see is their fish dead. It becomes necessary for the owner to keep care of their aquarium and keep their fish in good shape. This relies on many factors. One of the most important factors is of pH level of the water. This article enlists different ways to take care of the pH level of water naturally in 3 simple ways. A pH is a unit that is used to measure how hard or soft water is. Generally, water with pH level lower than 7 is considered as acidic, and with a greater pH is considered basic. Water is a habitat of fish, and change in pH level of water can affect the health of the fish. So, the owner should keep a watch at pH level. The ph is divided into 3 parts: Acidic, Neutral, Alkaline. Neutral: When the number of hydrogen ions does not increase nor decrease(i.e ph=7) the water becomes neutral. Alkaline: When the number of hydrogen ions decrease(ph>7) then the water becomes alkaline. There is nothing worse to come than coming home and finding that your tank friend has died in your carefully preserved and maintained tank. Fish thrive when a good living condition is provided. Change in water pH can affect your fish. But how does the pH of water change? pH of water changes because of unnecessary use of decorative items and substrate. Water change is one of the other factors. Fortunately, there are many ways to change pH for the better. The best possible way to change anything, and to make sure that it would not be even worse is by doing it naturally. Here are the 4 ways to reduce the pH of your home Aquarium. Peat Moss is natural pH reducer. However, it can also discolor your water. It can change the color of the water to brown or yellow, so you should rinse it in water for 48 hrs before dumping it in the aquarium. Make sure to put peat moss in a container bag, otherwise, it will float on the surface of the water. Peat Moss is a great way to reduce the pH of water. However, excessive use of moss can make the water squashy which in turn will be inferior to your fish. Perform a trial to make sure how much amount of moss can be useful. This natural substitute will show results over time, anyone who changes water frequently might not notice the difference compared to the ones who do not change the water frequently. Driftwood is a natural material, it is a wood that has been washed at the shore by natural phenomena. Adding driftwood to your aquarium is a great way to reduce ph of the water. This substance used in aquarium, will releases tennis which in turn reduce the ph of water by acidifying it. As it is a natural material, its side-effects are less. Wood changes the color of water, an easy way is to soak wood(2-3 weeks) in water prior to its use. This material will work as a natural filter to the water and will reduce the pH of the water. Brown leaves can reduce the pH of water. These brown leaves are almond leaves also known as “Catappa” leaves. These leaves contain some components, which can fix the water pH. Almond leaves release tennis which can reduce the pH level and makes water yellow, which is great if you have a blackwater fish. As compared to peat moss, and driftwood this turnover is hardly visible. Brown leaves are also excellent at cleaning contaminants that can spike the pH of water. Furthermore, they also prevent and treat the fish syndrome. These leaves are natural and side-effects are minimal. They also add a new vibe to the aquarium. Lowering pH of your home Aquarium is not difficult. It depends on the methods you use and the size of the tank. We hope, that our method to Lower your Aquarium pH will be helpful in doing test runs to see how it goes. All these methods will surely reduce the pH of water without any such side-effects to your tank mates. Always, make sure to use to right quantity for your tank, too much of everything can be dangerous. A trade-off to your fish will not be a thing you want. 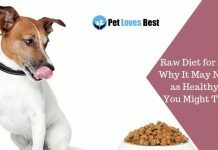 To read more such articles keep following our website PetLovesBest! Previous articleCan Dog Shampoo Be More Hazardous than You Think? Next articleBenefits of Keeping a Fish Tank – Scientific Facts!